Walnut trees are known for their hard wood as it is widely used in furniture, gun stocks, cabinets and other applications that need a very hard wood. In the United States, there are mostly black walnut trees, although there are some walnut trees that produce nuts rather sporadically called the Carpathian or Persian walnuts. If you are interested in planting a walnut tree in the United States, you are probably looking at a black walnut tree, which also goes by the name of American walnut. The potential lifespan of a black walnut tree is around 150 to even 400 years if the environment is perfect for the tree. It likes well drained soil and full sun without competition for sky space. It needs a good base where its roots can reach down deep before hitting rock. It cannot tolerate temperatures below -28 F for any length of time. If all the conditions are met, it will easily outlive anyone who plants it. Black walnut trees are often seen growing along streams but these tend to be smaller and will often be found fallen over after a year of plentiful rain. The animals spread the seeds and they grow but they will never live as long as a black walnut growing a little higher up where flooding will never be a problem. Black walnut trees will sprout up in forests right beside the willows and oaks and maples but as they continue to grow and compete for the sky space, the black walnut will grow more slowly until it has been crowded out and dies. Unless the trees are cut back all around the tree, it will only grow as long as it has good sunshine. 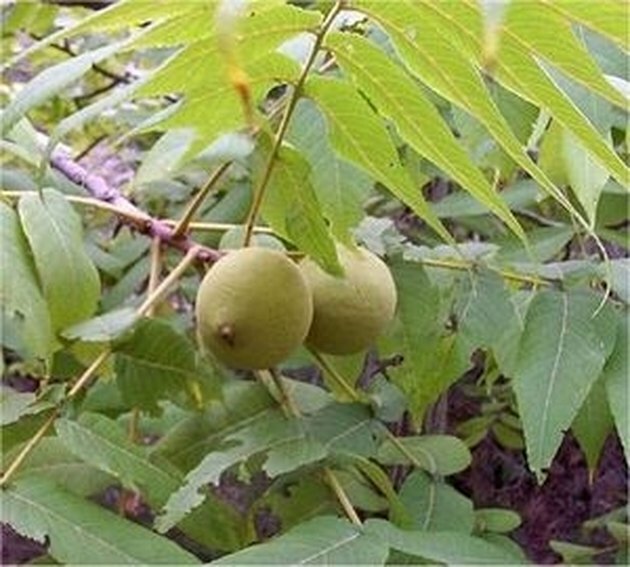 For this reason, black walnuts found in forests, tend to be younger and smaller than those found on the edge of fields. There are several pests that will kill a black walnut tree, especially if it is growing under stressed conditions. Insects, fungus, woodpeckers, wood ants and bees will all cause damage to some extent to the lifespan of a black walnut tree. Black walnuts will grow much longer and larger if they are planted in soil that is slightly alkaline, such as in limestone soils. 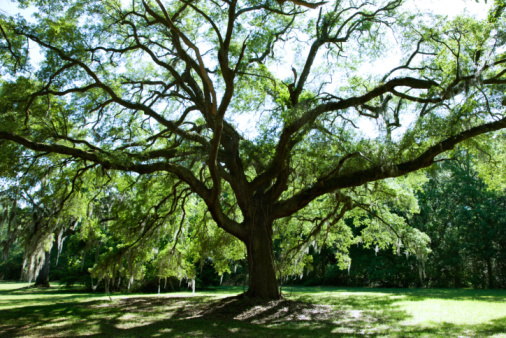 If combined with plentiful sunshine and a lack of pests, the trees will outlive most of the trees around it. It is of extra benefit to the tree if the soil has a good amount of loam to hold moisture during dry months.